The raw content of your data is securely transferred in an encrypted channel between your computer and Google. Your account and data access is authenticated by Google. Keshif servers do not see (or store) raw data from Google sources, it only stores the minimal dashboard configurations. Keshif also uses secure, encrypted (https) connections to your computer, and Google as needed. Your Keshif profile (explore.keshif.me/[AccountID] ), includes the list of datasets you imported to Keshif. Each dataset can be "public" or "private". Public datasets that have a default (starred) visible dashboard, are visible to any visitor of your profile. If you import a public dataset and only have private dashboards on it, that public dataset will still not be listed here. So, your public profile is a showcase of your publicly available work. The private datasets are only visible to you (and those who have access to the underlying data). 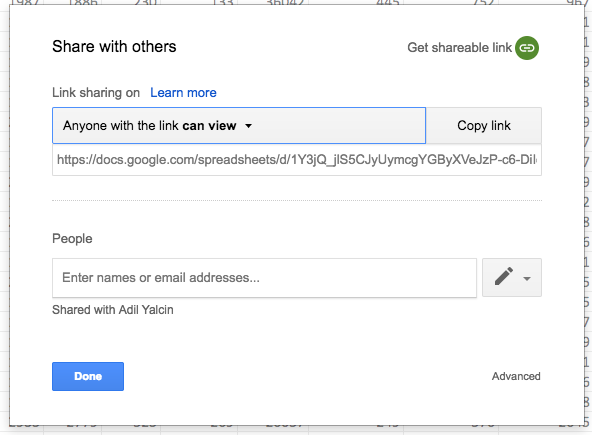 Keshif uses existing privacy settings of your Google Sheet / Drive documents. Keshif also does not modify your file permissions, or data contents directly. 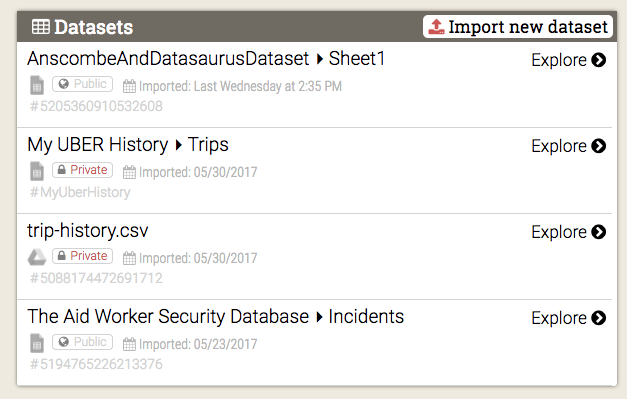 Keshif focuses on visually organizing your data to help you make sense of it. 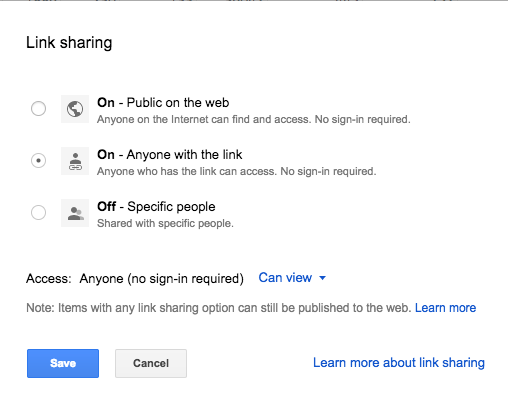 When you open sharing options panel, you can adjust who can see your files. Private datasets are the datasets that are either only visible to you, or visible to a list of accounts that you specify. To keep your data private, you just need to disable link sharing with "off - specific people", and then invite / check the list of people you want to be able to access this dataset. The people who you grant data access (read) can see your Keshif dashboards, and you can collaborate by creating new dashboards w. filtered views on the same data. They will need to have their own Keshif account, linked to the Google account, and have Magellan plan to have access to the shared private dataset.